The Victorio Deluxe Grain Mill is extremely flexible. The Grain Mill is a manual operation device that can be attached to an OPTIONAL electric motor (sold separately.) 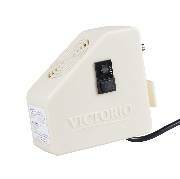 The Victorio Mill is compact, easy to use and can be used with or without electricity. The adjustable front dial makes selecting your grind size smooth and easy. 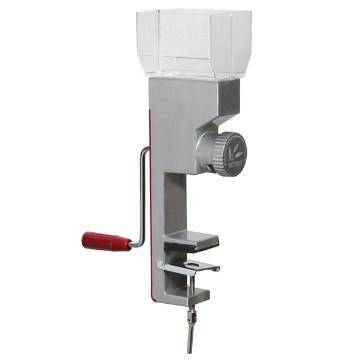 This Grain Mill is a terrific tool for any kitchen. You can make fresh flour from wheat, oats, rice and many other non-oily grains and seeds. The Victorio can grind a wide variety of grain sizes from flax seed to corn.